Enjoy The 40% OFF, From Here ! Click BUY NOW! Between 3/28/2011 ~ 4/4/2011, Right Now! When you want your audience to truly be interested in your material, you don't try to get your message across in mere words! uses, why not just consolidate all of your presentation magic-making into Presentation3D? Presentation3D, thanks to the included templates and styles. 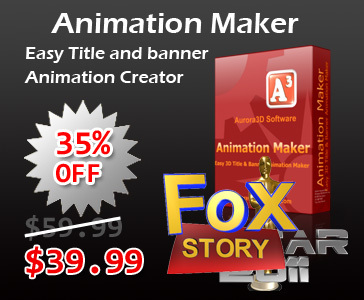 animated charts and graphs, even 3D models! 1. Easily to generate cool presentation for image, text, video, model and data. 2. Don't need the basis of 3D design. 3. Choose many ways to display your content. 4. Don't need to learn Flash, AE, Photoshop and other 3D Application to create great looking presentation. 5. Choose and use many included design elements, include backgrounds, themes, styles, shapes, effects and so on. 6. Real 3D space, real 3D object. 7. You can export the image or video files, and import other 3D model and texture by the 3D design software. 8. Learn some interesting effect of 3D software,Let you easily. 9. 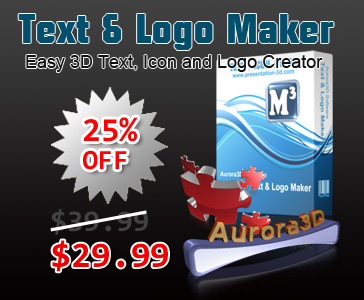 Save money on various 3D interactive design. 10.If you don't have the time, Presentation3D is your best choose, You'll get the high efficiency.